Where at one side Korean car maker Hyundai has globally launched its new hatchback Hyundai Elite i20 yesterday in India, on the other side it has revealed the features of Hyundai i20, 2015 ready to be showcased during the upcoming Paris Motor Show 2014 in September. The 2015 Hyundai i20 is speculated to be offered in both petrol and diesel variant with two engine options in both the variants. These engine configurations would be 1.2 litre petrol, 1.0 litre petrol,1.4 diesel and 1.1 three cylinder diesel engine. Both the variants would be coated with five speed manual gearbox, six speed manual gearbox and four speed automatic transmission system. Physically the Hyundai i20, 2015 looks same as the newly launched Elite i20 with C pillared and 16 inch curved alloy wheels. Interestingly the Hyundai i20, 2015 has enlarged boot space of 320 litre offering spacious cabin to passengers. The exteriors receive LED tail lamps and DRLS, reverse camera, panoramic sunroof and most of the features as offered in new Elite i20. The only difference would be integration of safety measure which would be according to European roads safety standards. 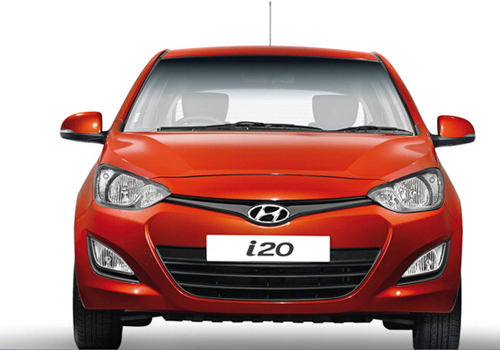 Click here to read about the features offered in existing version of Hyundai i20.